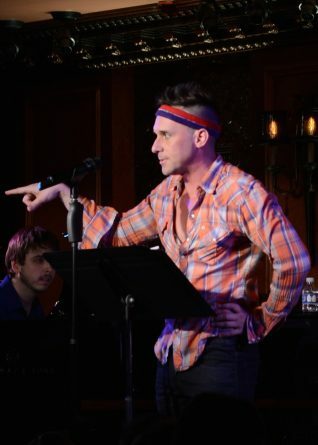 Nick Cearley (The Skivvies, Pageant, All Shook Up, Buyer & Cellar) stars in his acclaimed performance as Randall Klausner, a perspiring actor-singer-songwriter-dancer-secretary searching for love and fame in the late ’70s/early ’80s, as well as the colorful characters he meets along the way. Set to the rhythm of the disco era and beyond, this earnest yet uproarious musical finds Randall in the moments before he goes on Tom Snyder’s Tomorrow Show. 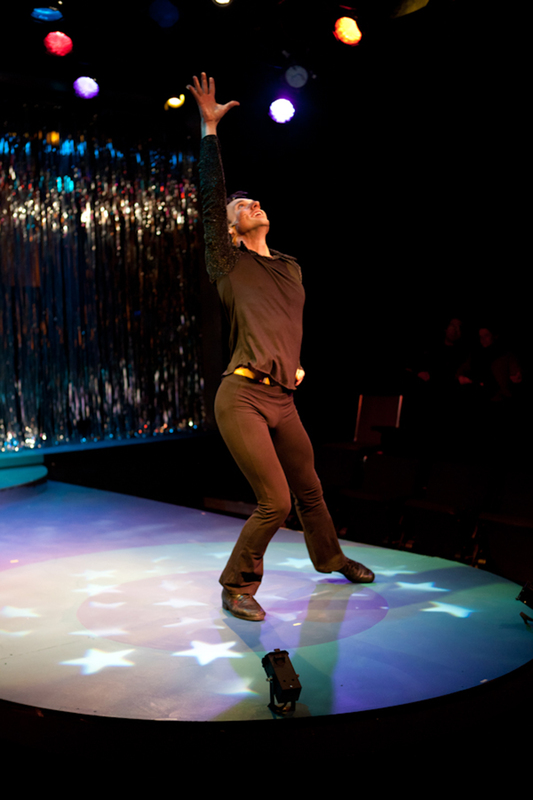 His life rushes before him like a groovy flashback, from toiling in his father’s sausage business to dating someone in “soda espionage.” Randall transforms all of his professional and personal misadventures into memorable and quirky songs as he ventures on his rocky road to self-acceptance and an audition for A Chorus Line. 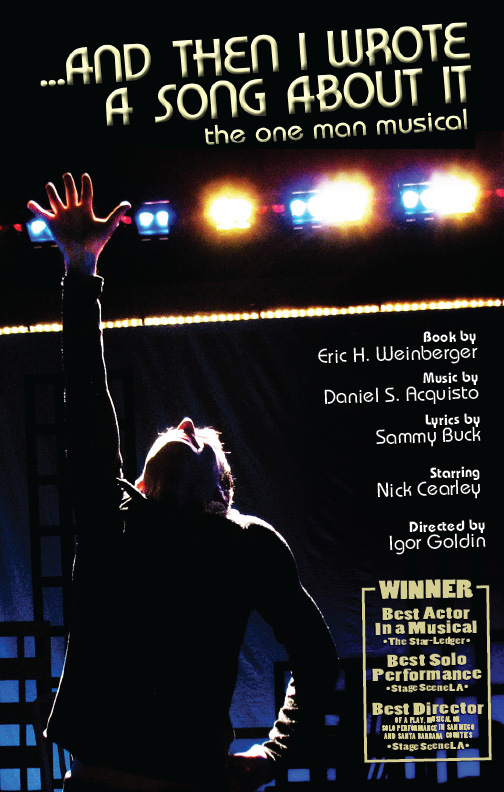 Notable productions, readings and concerts: Luna Stage, 2010; Diversionary Theatre, 2011; Musical Mondays, 2011; Theatre 80, 2011; Feinstein’s/54 Below, 2016. 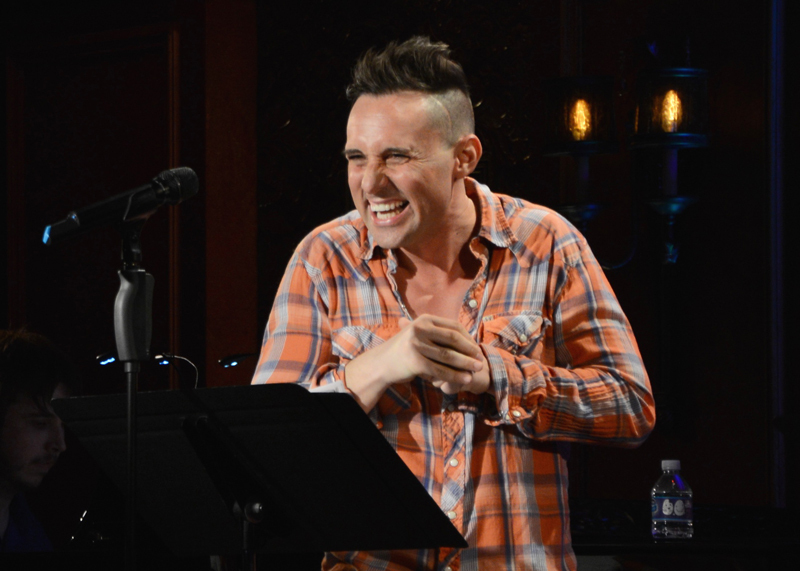 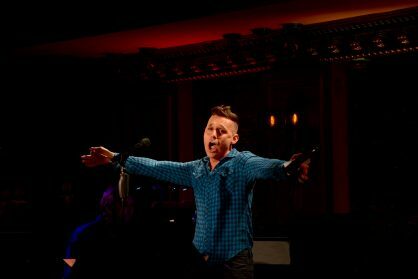 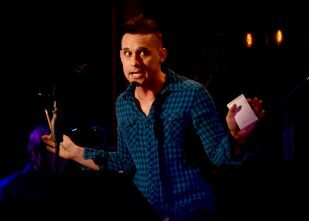 Nick Cearley in the May, 2016 concert of …And Then I Wrote A Song About It at Feinstein’s /54 Below (photo by Rebecca Woodman Taylor). 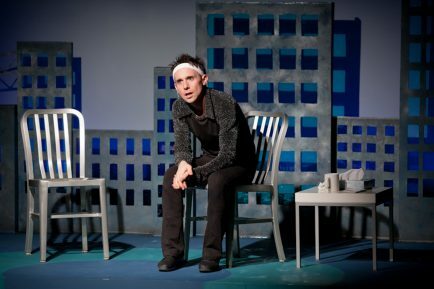 Nick Cearley in the 2010 Luna Stage production of And Then I Wrote A Song About It (photo by Steven Lawler).